As part of our commitment to encourage and develop the on and off water skills of our members, Neil, Ella, Claire and Danny successfully attained the RYA Basic Navigation and Sea Safety Certificate (BNS) after 2 days on the first of a series of training courses for our current and new club coxes as well as those interested in improving their sea safety knowledge and awareness. 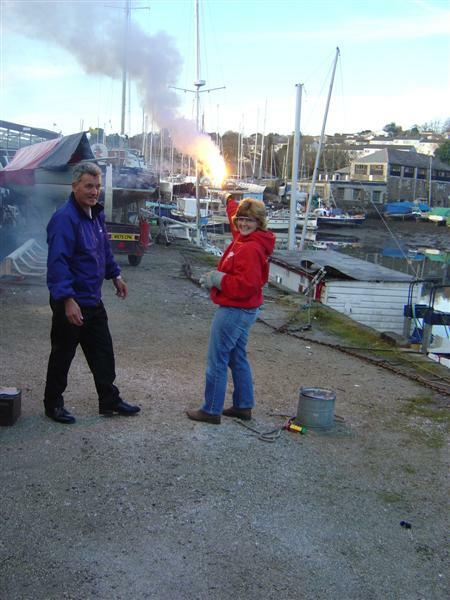 As part of the course we attended a flare demo organised by the local RNLI Sea Safety Officers which was great fun, especially for Neil! The second BNS course will be held in January and Bridget, Andy, Emilie and Lynn are already signed-up – members check your inbox for details.